The ever-explorative Devendra Banhart — who's gone from longhaired purveyor of "freak folk" to buttoned-up bringer of love songs dipped in humour, never averse to playing with gender and genre — has just released album number nine, Ape in Pink Marble. As Banhart is quick to point out in an Exclaim! interview: "I don't know what I'm talking about and have no idea," when explaining certain aspects of Ape in Pink Marble, his second release for Nonesuch Records, following 2013's Mala. This conversation felt very much like his body of work — never settling on one topic or staying in one place, yet someone being charming and entertaining. Here's what truths we were able to glean. 5. The album title, Ape in Pink Marble, was not the first choice. It was between that and Fish Taco in Chrome [or] Wig on Larva — I imagine a cute little larva crawling around with a Paul McCartney wig — and Fig in Leather, which ended up being a song title and I kind of imagined a little fig in a leather jacket, a little Fonzie fig. In one sense [the ape] is an apparition that I found to be kind of spooky and interesting, and I liked imagining this kind of being — I mean, literally an ape that's made of pink marble moving around the corners of the room. I don't know, it really got to me, I really liked imagining that. And then later, the kind of metaphor, the symbol, the interpretation of the image came. Ape in Pink Marble, I realized, is a more of a symbol, a metaphor, of that union between male and female. Ape being the aggressive, impulsive, base and banal attributes, which are predominantly on the male end of things, the psyche inside, and the pink marble being strong but also having a depth and a delicacy and softness at the same time, and that representing attributes of the female aspect. It isn't until those two things are in union within each individual that somebody can feel some level of peace and some level of harmony within themselves. 4. The album art, by Banhart, is up for interpretation, by Banhart. All I can say really is that the album art relates to the title, but the character at the centrepiece of the drawing — it's a drawing made up of three elements — that creature is not the ape in pink marble. But the drawing does relate to the title. I don't know if that clarifies anything at all, but that's about as much as I can say. I will say that those are not hooves, those are in fact go-go boots, and they are caught between either ascending or descending. I feel like the drawing is as figurative as it needed to be in order to tell a variety of narratives, so I don't want to just give my take on it just yet. In a way, the question of the album art should come later, because it's not something that I want to limit quite yet, I'd like it to be as open as possible. 3. Don't kid yourself, he knows what he means (probably). I'm also kidding about that — that there's no meaning — but I feel like I'd rather hear your version at this moment. All I can tell you is that there are these obvious symbols of the moon, there are a lot of female symbols and there are a lot of male symbols. I don't know if that creature is being sucked down into that void, into that womb-like void? Or is it hovering, is it in the tractor beam of that moon, shooting up that way? 2. The influence of Japan, and the koto, proved challenging for Ape in Pink Marble. We wanted to create something that evoked an image of a hotel in some rundown part of Japan, some suburb of Tokyo, where there's some older lady smoking a cigarette at reception, and a half-drunk dishevelled businessman in the corner. We wanted to evoke, or our guidelines at least for the aesthetic of it, for the sound of it, was that this being music that would be playing in the lobby of this imaginary hotel. That was our kind of guiding force, and it helped the decision making, it helped make some sort of thread run through the narrative or some semblance of cohesion. Then the process itself, to evoke that, required renting a koto, which is a Japanese classical harp, and we don't know how to play a koto. We thought it would be pretty easy, but our arrogance shone through in a number of ways. We spent half this record trying to tune a koto. 1. 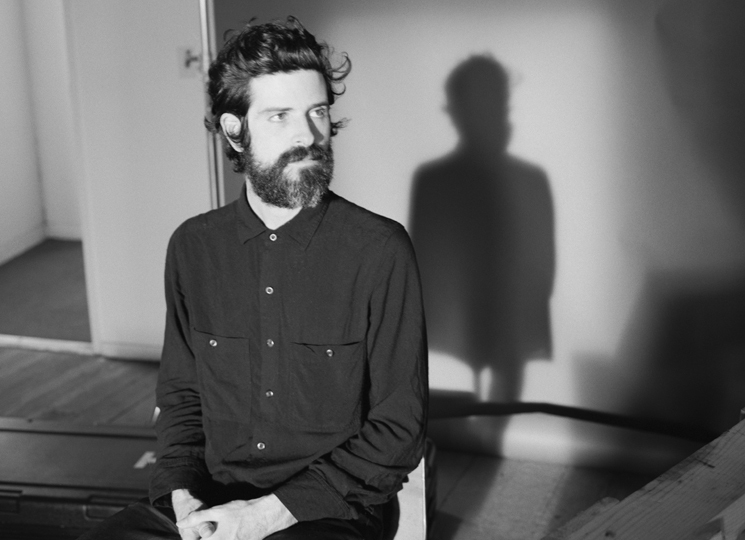 Banhart wants to see more of Canada… because Sasquatch. Canada has really grown and grown as this unexplored and very mysterious and exotic place to me. Personally speaking, Canada is becoming more and more beguiling and mysterious and I feel as though I really need to explore it. And I've been there so many times, but it's always, we show up, play a show, then we leave. I wish I was in Toronto, I mean really. Coming to Canada, I'd really like to see Sasquatch. I've got into [Survivorman] Les Stroud finding bigfoot and I'm telling ya, I believe it now, I'm a believer.